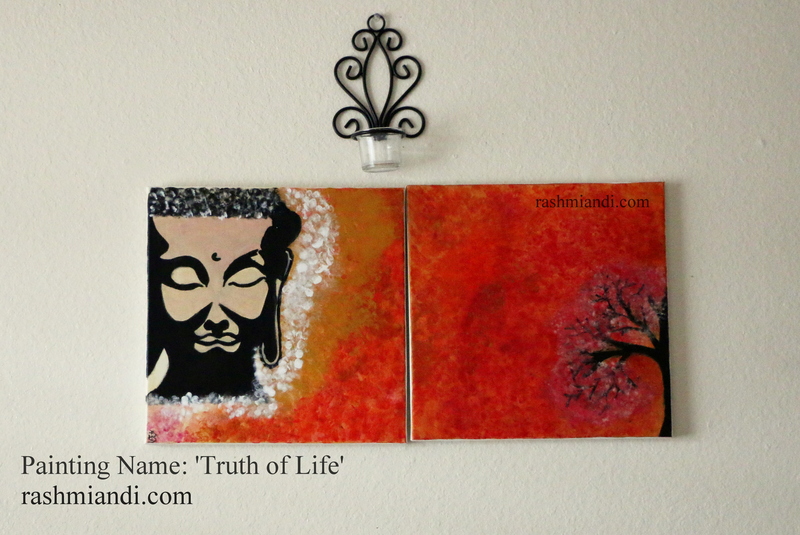 This is an acrylic painting done by me.When I started the painting all I wanted to do was a Buddha painting for my Living room, but eventually an idea popped up and here I present you an acrylic painting “Truth Of Life”. 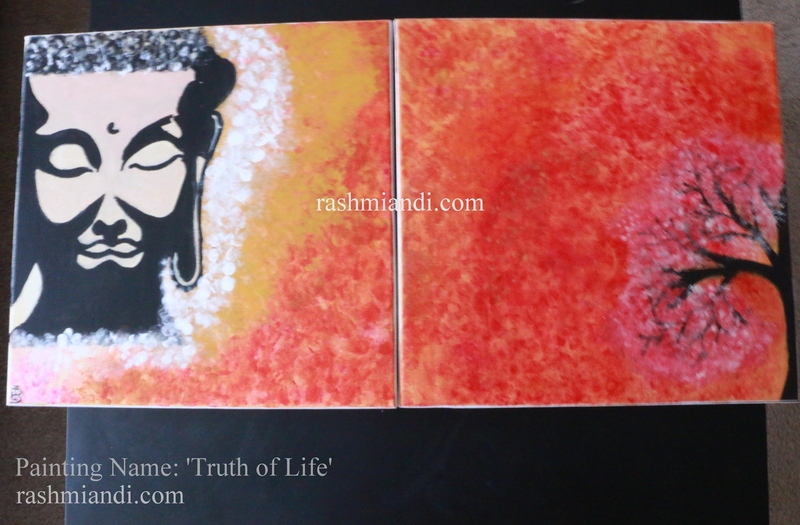 There are only two times in the entire of our lives we will be pure and innocent with our thoughts i.e. when we are born and when we are about to die. In the middle we are always running around for our desires, passions, relationships and much more. The tree represents the growing man/woman.The white flowers are when you are born, then there are the pink flowers symbolizing the growth of the young boy/girl.Then there are colors of love, passion, desire i.e. red, orange, yellow and finally white color symbolizing the man who is about to die and that’s when he/she feels one with god because his/her are thoughts are so pure and innocent at that point of time and they feel one with God. Beautiful..loved this piece of art.. Thank you 🙂 Please do make it and share it. I would love to see it.